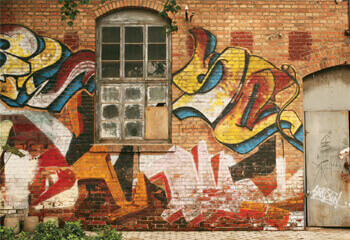 Graffiti, unwanted tagging and marking on the street posts, bulletin boards and building walls tend to spread like a virus. It is a big job to remove layers of layers of paints and taggings by the conventional cleaning method which is extremely laborious, difficult and also very inefficient, usually leaving the surface wet and damaged. With the variety of attachments available for the Optima Steamer™, remove them quickly without wasting excess water and chemicals. 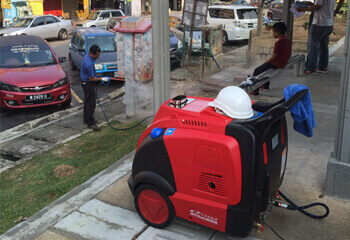 Optima Steamer™ removes graffiti and taggings using a fraction of water than conventional methods without chemicals and intensive scrubbing. Steam heat and pressure break them up for easy removal and an overall quicker cleaning process without damaging the original material. Bacteria are everywhere, but some areas are more likely to breed harmful bacteria. Dust mites, allergens and bacteria are all seeking asylum in your mattresses and carpets. As you clock in your 8 hours of sleep, you are also breathing in allergens that can cause asthma. The most common one found in mattresses is Staphylococcus. The Daily Mail also reported that UNICEF’S research indicates the sofa arms are 12 times more contaminated than the average toilet seat. Optima Steamer™ specializes in deep cleaning, sanitizing, and deodorizing with chemical-free approach, leaving no water residue behind.